An aficionado is defined as someone who is devoted to a subject. An oyster aficionado is someone who is devoted to the preservation of high quality oysters as a healthy source of food and a joyfull experience. Our mission is to help to create oyster aficionados. Our task is to educate consumers and members of the seafood community in general concerning the fascinating history, biology, ecology, farming, and etiquette of oyster cuisine. In order to fulfill our mission and accomplish our task, Oyster Information newsletter has created this web-based online course. Our new goal is 1500 Oyster Aficionados by January of 2020. The virginica oyster shown here is native to New England. When an oyster issues its seed into the sea, it does so in clouds of unimaginably large numbers. Only a small fraction of eggs planted in the sea survive to eventually become full grown oysters. Over the last 100 years, the natural oyster has all but disappeared in many areas where it had once flourished. Part of the problem for oysters is that they cannot swim away and migrate to a different place by themselves. The tiny spat that evolve from natural oyster eggs must attach themselves to a stationary point, often on another shell, in order to survive. The oyster's job is to filter water. Even the tiniest team of baby oysters can render a tank full of algae clear in minutes. A mature oyster can filter 30-50 gallons of water per day. When it filters the water, another organism profits from the act. When a natural oyster fails to filter a body of water, the community of ecological dependence can be thrown out of balance. Soon other elements of that community suffer. This process is what has occurred recently in Chesapeake Bay. In William Brooks' famous book simply entitled The Oyster (first published in 1891) he documents an oyster harvest of 15 million bushels in Chesapeake Bay. Fifteen years ago, the oyster harvest in Chesapeake Bay was less than 100,000 bushels. Reviving the complete ecology of a body of water is a huge task. It involves understanding the entire complex web of relationships and takes many years. Even growing farmed oysters from seed requires a healthy surrounding ecosystem. The oysters feed on their environment. The proper temperature, salinity, oxygen content, and plentiful availability of oyster nourishment are the basics. And the measurement of these ingredients is subject to test. If the oysters are grown from seed in perforated bags and monitored periodically, the natural predators and bad weather can be kept at bay. If even half of the seed oysters survive the early growth process, the harvest can be enormous. Oysters are frequently found where running bodies of fresh water replenish the sea. The addition of rain, and inflow from fresh sources produces a less saline mix. 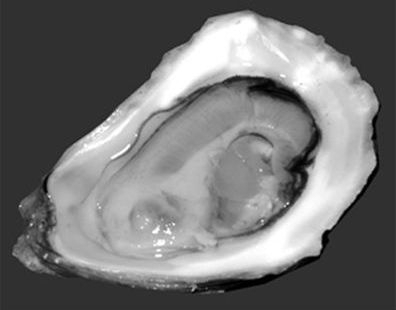 The basin-like areas where an oyster can live are normally remixed by tides twice a day. Malpeque Bay is such a fluid place. The tide basically flushes the Bay, and its oyster inhabitants, twice a day.When drought reduces rain and snowfall, less fresh water gets to the bay, and the level of salinity in the water is increased. When the salinity of the bay changes, certain diseases that prefer saltier water flourish. Some of these same diseases will harm or even kill the resident oyster population. In the New Haven River, oysters were once so plentiful that native Americans would bend the boughs of trees into the water to cause oysters to attach to them. That world of plentiful oysters has been replaced by a new world cultivated by human hands. Modern marine science has learned how to breed oysters in hatcheries and distribute the young oysters to farmers. It is an aquaculture success story. In the chapters that follow you will learn how the oyster has been able to survive and flourish once again albeit as a tamed creature. We think it is our job to make sure it always has a champion.